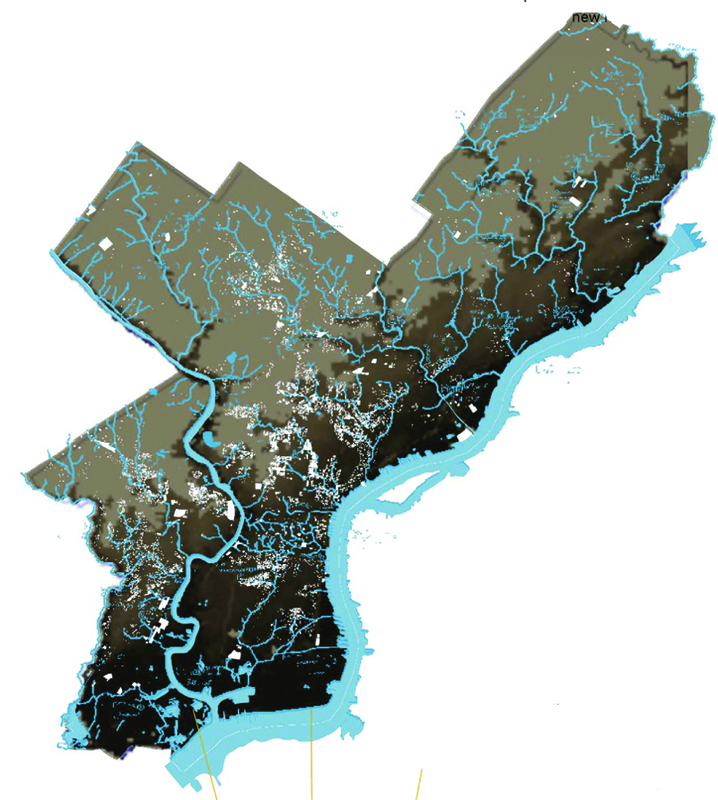 This project proposed interventions in Philadelphia that explored links between land, ecology, economics, and social sustainability that rejected traditional top-down, large-scale, and grid-oriented approaches to community planning in favor of envisioning vacant land as a motivator for social, economic, and ecological development. Activities as varied as bottle recycling, building deconstruction, scrap metal sales, roadside barbeques, flea markets, yard sales, urban agriculture, community produce markets, street art performances and urban land reclamation occurring on the margins of prevailing social and economic practices are the livelihood for many and are also critical to sustenance in periods of crisis. 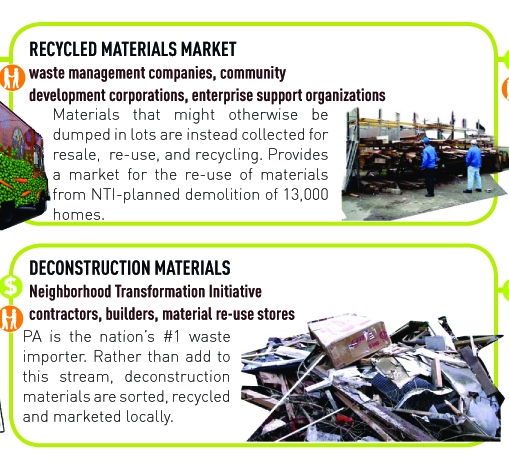 As edge economies – micro-economies operating outside of the accepted social, and usually legal, parameters of standard capitalist markets – these practices emphasize the transformation of the urban geography by encouraging the reuse of consumer waste while rethinking land uses in a way that reestablishes the productive use of the landscape beyond maximizing profit for a few. 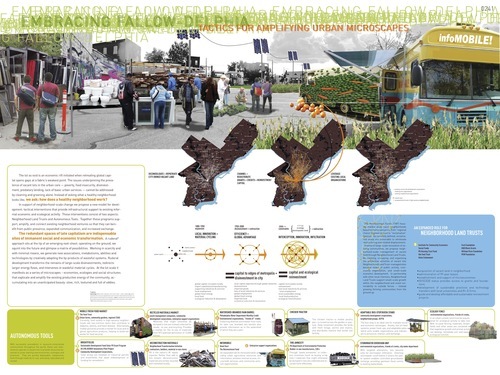 As systems of survival, the microscapes proposed in this project depend on finding loopholes, niches, and unexploited sources of energy that the larger system of global capital has ignored, while taking land out of the profit-motive paradigm and investigating the socially and ecologically productive potentials of exchange.